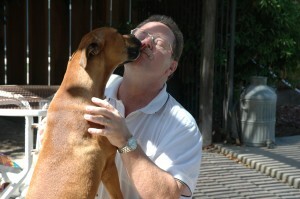 It’s amaz­ing the amount of con­ver­sa­tions peo­ple have about their dogs, or prob­a­bly more cor­rect, with our dogs. It’s real­ly no sur­prise, as our fam­i­ly pets do become a intri­cate part of each of our fam­i­lies. We each talk to our pets as if they can total­ly under­stand every word we are say­ing, and they some­times real­ly try to talk to us. I know our dog Angel, at times will have this con­ver­sa­tion with us, by hav­ing an audi­ble growl-talk­ing dog voice, as if she real­ly is say­ing some­thing. I have to turn to my wife and ask if she speaks “dog” because I didn’t under­stand a word she just said. Our Angel greets us every­day with an joy­ful whole body wig­gle that tells us with­out a shad­ow of doubt the she is glad to see us. 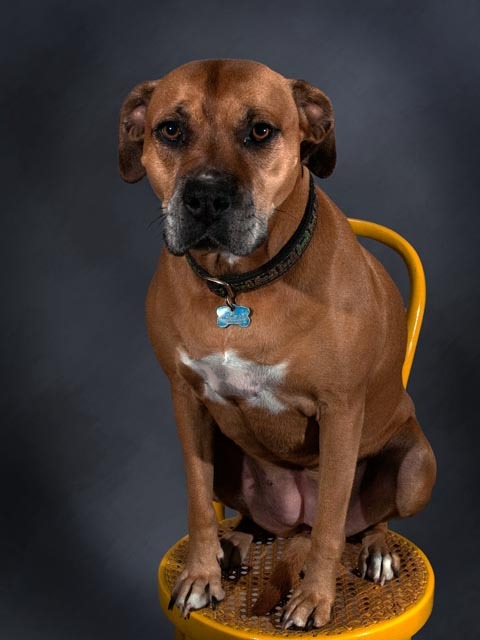 Many of us claim to have the best dog in the whole world, myself includ­ed, and each of us could give a hun­dred rea­sons why our dog should win in that cat­e­go­ry for the sim­ple rea­son, we love our dogs. Now you cat peo­ple out there, don’t get me wrong, cats are okay, but I have nev­er seen a cat wig­gle with excite­ment to see me. So today, I want to share with you a lit­tle about Angel. 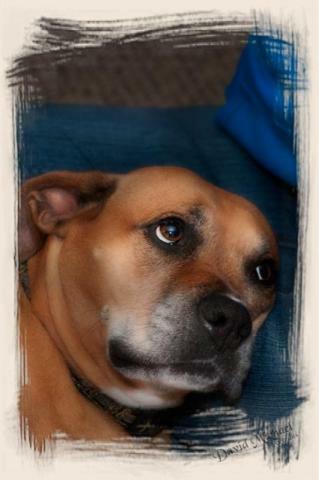 She is a Boxer/Pit mix and real­ly does have to be the very best dog I have ever known. My wife Tami and I res­cued her from the SPC A when she was about two years old. The pho­to on the left was her first day home with us. It is a dog’s life for Angel, and she is spoiled rot­ten, but again, she’s worth spoil­ing. She is a hug­ger and loves to touch! Have you ever owned a dog that knows how to hug? She will bury her head into you and just push against you as if she is hug­ging you with out arms around you. If she is lay­ing next to you, she will stretch her paw out as far as it will go just to sleep touch­ing you. She loves so BIG! She real­ly is quite enter­tain­ing and such a good sport. It is real­ly sad that our dogs can’t live as long as us, but they bring us joy and a com­pan­ion­ship for a sea­son in our own life that will nev­er be for­got­ten. I also believe they are in our lives as a teacher. They teach us about uncon­di­tion­al love and how to com­mu­ni­cate that love to us with nev­er say­ing a sin­gle word. They always want to be near us, to love and be loved in return. Hum­m­mm.…. Kin­da reminds me of God’s love for us. Food for though! This Blog is ded­i­cat­ed to my ani­mal lov­ing friend Sandy, who has had to say good­bye to three of her four legged friends in about the same num­ber of years. Here is a link to her blog about her recent loss. A Kiss Good-Bye Love ya Sandy! Sor­ry for your loss. Thanks for pray­ing so hard when our “Angel” ran away look­ing for us.…. twice! 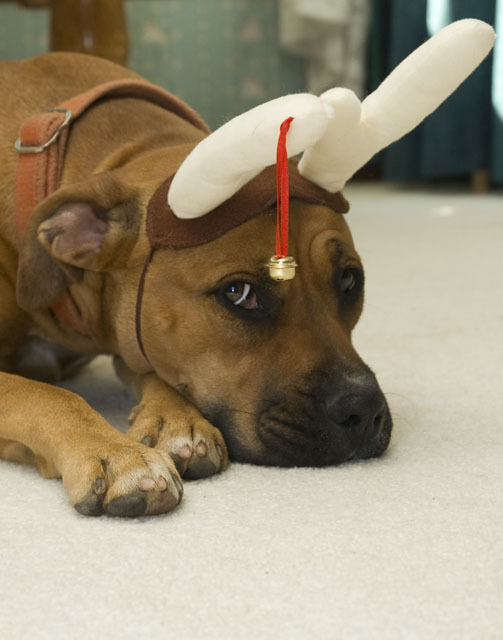 This entry was posted in Four Legged Friends and tagged dogs, love dogs, rescue pet, SPCA. Bookmark the permalink. Thank you, Dave! I need­ed that. It com­forts me that Angel is still young and in her prime. She is such a beau­ti­ful mem­ber of your fam­i­ly — and she too has a spe­cial place in my heart as often as I have prayed so deeply for her. In fact, it has been Angel who has taught me the truth about how to inter­cede effec­tive­ly when pray­ing for any­thing: You have to love and iden­ti­fy with your sub­ject like I do ani­mals… THEN… they will find their way safe­ly home when you pray 🙂 Thank you for car­ing!!! Who’s Home Is It Anyway? Michael Ober­mire Meet my cousin Mike, author of Christain Books and thought provoking blogs. Sandy Pow­ers Blog Meet my dear friend Sandy - Phenomenal photographer and my go to prayer warrior. I'm a photographer that at one time, changed my hobby of photography into shooting professionally for many years. I had two different business names during those years of shooting professionally, one called "Western States Photography" and the other as "David Michael Portraits". The first business was mainly shooting landscapes. Soon I found myself shooting weddings and personal portraits so changed my business name to better suit what I was doing. Now I'm retired and wanting to travel and shoot photos that just strike my fancy. This site will showcase some of my favorite photos along with stories about them. I hope you enjoy. All images are the exclusive property of David Collins and protected under the United States and International Copyright laws..